Southern Cross School opened in 1971 under the Principalship of Mr Gordon Lang. It grew to an amazing K-12 school until 2017, with the secondary component of this school amalgamating with Ballina High School to form Ballina Coast High School. 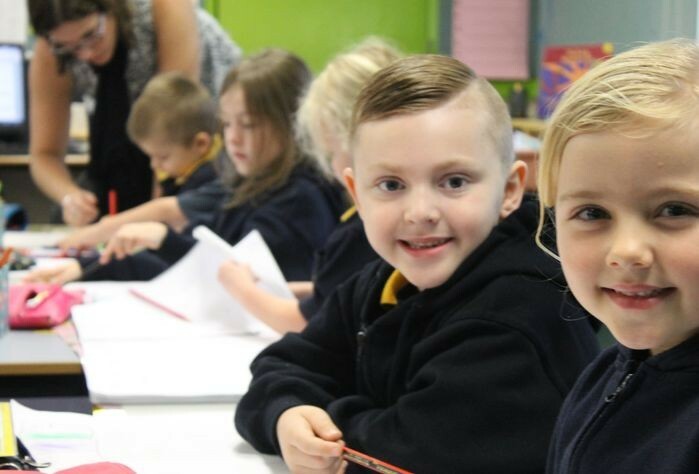 In 2018 Southern Cross school reverted back to a Public school with an enrolment of 380 students in K-6. including 5 support classes for students will special needs. The school was originally named after the aeroplane in which Sir Charles Kingsford-Smith completed his epic flight from Oakland, San Francisco to cross the Australian coast at Blackhead early on the morning of Saturday 9thJune, 1928. The link with Smithy remains today through our sporting emblem and sporting house names of Ulm, Lyon, Smith and Warner. Southern Cross Public School is characterised by a strong focus on quality teaching and learning and encouraging students to strive to achieve their best. Our aim is to prepare your child for a life of learning that is supported by strong and positive links between school and home, thus ensuring we continually strive to uphold our motto "Towards Tomorrow". Our school provides an environment in which we all live and learn together today and in the future. Respect: Having regard for yourself and others, lawful and just authority and diversity within Australian society and accepting the right of others or opposing views. Responsibility: Being accountable for your individual and community's actions towards yourself, others and the environment. Excellence: Striving for the highest personal achievement in all aspects of schooling and individual and community action, work and life-long learning. We at Southern Cross Public School believe that our prime purpose is to prepare students for a Life of Learning. Children learn best by doing. Cater for individual children's needs. Develop Students as independent, cooperative and responsible learners. Encourage students to be critical and creative thinkers. Develop students' positive self-esteem and respect for others. Be a place where success and achievement are attainable for all. Ensure that learning is supported by strong and positive links between students, school and the community. Southern Cross Public School caters for students from Kindergarten to Year 6 with a focus on the school's core beliefs of Be Safe, Be Fair and Do You Best. The school's strategic directions of Engagement, Collaboration and Dynamic Learning Community continues to drive positive learning outcomes for all students and in creating a connected learning environment. In addition to mainstream classes, we have 5 support classes, with a strong emphasis on being an inclusive school.